Condo and Townhouse May 2016 Stats. 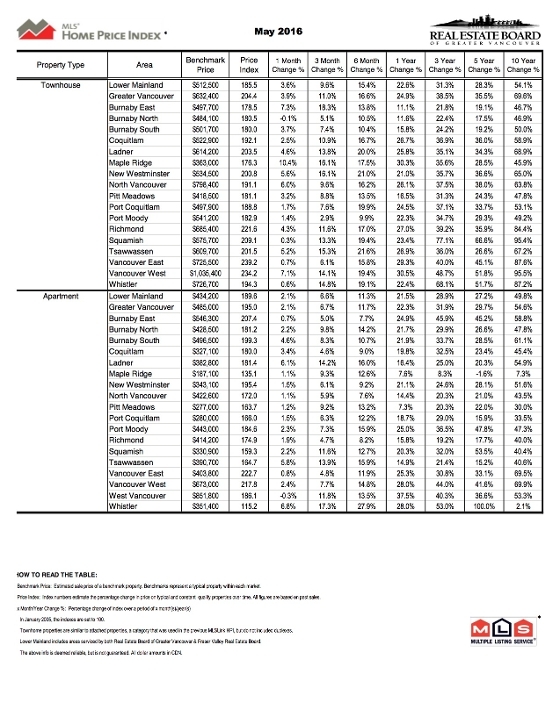 Surprisingly, Vancouver West and West Vancouver increased the most. 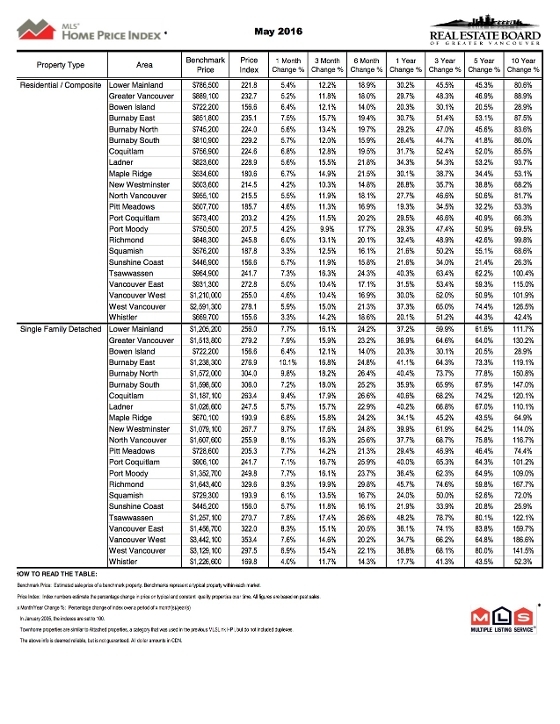 Detached Houses Stats for May 2016. Tsawwassen is still the winner! Richmond is a rising star!